It's that time again ...! 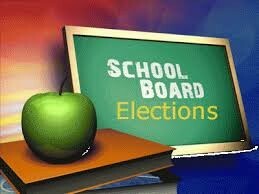 School Board Elections are fast approaching. Parents, you are an integral part of our school's success. Your involvement is so important. Please be involved in the Eman School Board Elections. If you are interested in running for the School Board or know a parent(s) who you would like to nominate, please read on for details. Please join to hear nominees speak and answer questions. Elections will immediately follow the forum. members will be elected. Please note, you are not nominating individuals for a specific position on the School Board, however you are nominating them to become a member of the School Board. Being a member of the Eman School Board is a serious and time-involved commitment. In addition to the monthly board meetings, there are many, many hours each member commits to their position every month. Imagine you are interviewing each nominee for a new job: Consider the qualities of the individual your are nominating. Are they committed, do they follow through on responsibilities and meet deadlines, are they able to work effectively in a team, are they able to work individually, are they consistently reliable, are they able to communicate clearly, etc? The roles of President, Treasurer, Secretary, IT, and Member will be filled by the new School Board for a 3-year period, beginning in January 2016. Please keep in mind, you are nominating individuals to become a School Board Member; you are not nominating individuals for specific positions. In addition to the above positions, there are (5) committees the School Board members fill. Parents, out of respect to the nominees speaking and the audience listening, children are not permitted into the Forum area. Babysitting will not be offered; please make childcare arrangements prior to the elections. Thank you kindly for your understanding.